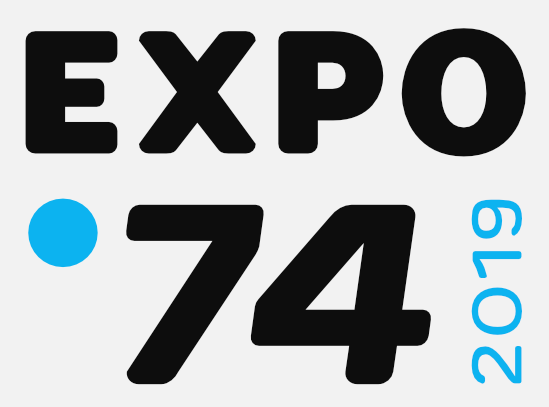 At C74’s Expo conference, we want to create an environment where every participant feels safe and welcome. In order to make clear what is expected, everyone attending Expo in any capacity (including organizers and invited participants) should read and observe the following Code of Conduct. Expo is dedicated to providing a friendly and harassment-free experience for everyone, regardless of gender and gender expression, sexual orientation, disability, physical appearance, race, age, beliefs, or cultural background. We do not tolerate harassment of participants in any form. Inappropriate sexual language and imagery is not welcome in any venue, including presentations. Participants violating these rules can be sanctioned or expelled from the event without a refund at the discretion of the conference organizers. If you experience harassment or are in need of assistance of any kind, please approach our stewards who are there to help you. Expo is dedicated to providing a harassment- free experience for everyone, regardless of gender, gender identity and expression, sexual orientation, disability, physical appearance, body size, race, age, religion, or cultural background. We do not tolerate harassment of participants in any form. Inappropriate sexual language and imagery is not appropriate for any venue, including presentations. Participants violating these rules will be sanctioned or expelled from the conference without a refund at the discretion of the conference organizers. Harassment includes harmful or prejudicial verbal or written comments related to gender, gender identity and expression, sexual orientation, disability, physical appearance, body size, race, age, religion, or cultural background; sexual images in public spaces; deliberate intimidation;stalking; following; harassing photography or recording; sustained disruption of talks or other events; inappropriate physical contact; and unwelcome sexual attention. It is necessary to the topic of discussion or artistic performance and no alternative exists. The organizers have specifically granted permission. If a participant engages in harassing behavior, the Expo organizers may take any action they deem appropriate, including warning the offender or expulsion from Expo with no refund. If you are being harassed, notice that someone else is being harassed, or have any other concerns, please contact a member of the Expo staff immediately. Expo staff will be happy to help participants contact venue security or local law enforcement, provide escorts, or otherwise assist those experiencing harassment to feel safe for the duration of the conference. We value your attendance. We expect participants to follow these rules while at all Expo events.